Why should you keep a large gap between your motorcycle and a lorry in front? Why should you keep a large gap between your motorcycle and a lorry in front? 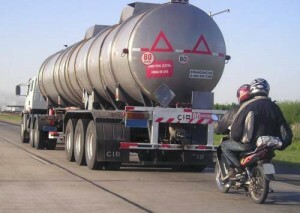 To slipstream the vehicle in front because they believe they will use less fuel.